At Northwind Outfitters we do our best to provide you with a quality hunting, fishing, or canoe trip. We pay close attention to the subtle changes of nature that can alter the fishing or hunting experience. We believe in keeping things simple and low stress, the way it was done 50 years ago. Staying at camp with your guide and sitting around the campfire enjoying the evening sounds of nature before settling onto your cot by the woodstove for the night is a typical evening at Northwind Outfitters. Steve has been hunting and fishing for almost 40 years. He has hunted and fished in Maine, New Hampshire and also has fished Minnesota's Boundary Waters. Although he guides for several different species of fish, fly fishing for brook trout has always been his passion, either on a river, stream, or a remote beaver pond. Steve guides for turkey, moose, deer and bear, but hunting black bear is still his personal favorite. He is a registered Maine guide and a licensed fishing and hunting guide in the state of New Hampshire. He also holds an outfitter guides special use permit for the White Mountain National Forest. He is licensed as a commercial boat operator and is certified in CPR, First Aid and Solo Wilderness first aid. The base camp has cabin tents with wood floors, wood stoves, screen doors, and windows. There is also a separate dining and kitchen area provided as well. Also at camp there is electricity, phone, and running water and hot showers. Our goal is to have a comfortable place to stay with the charm of a turn of the century sporting camp. 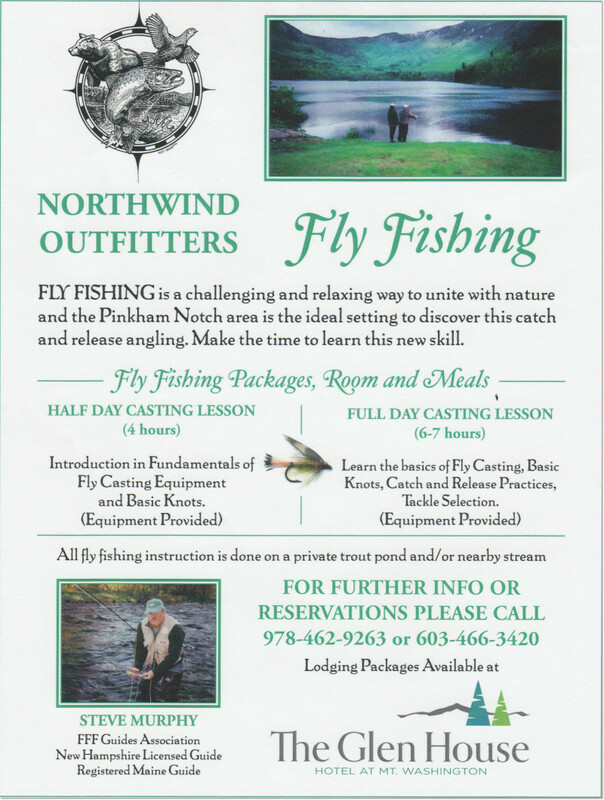 Learn the basics of fly casting, basic knots, catch and release and tackle selection. 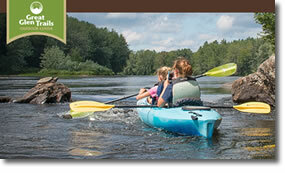 We have canoe trips for fishing, camping, and photography. We offer these trips for one day, a weekend, or a week, to put you back in touch with nature. Call to get more information or to book a trip.